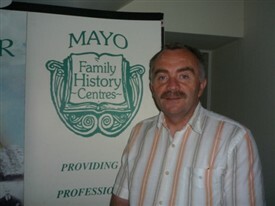 In an interview recently with Mr. Gerry Delaney of the South Mayo Family Research Centre in Ballinrobe, Co. Mayo he told me “they offer a genealogical service for anybody searching for family records from Ballinrobe and the South Mayo region. While the centre is one of the busiest of the Irish Family History Foundations network in Ireland, many people have been very satisfied with the results. SMFRC specialises in the production of individually researched Family History Reports produced to a high standard by professional genealogical researchers. Only recently a Family History Report was produced and presented to Ms Maureen Dowd, Op Ed of the New York Times. This page was added by Averil Staunton on 12/08/2012.